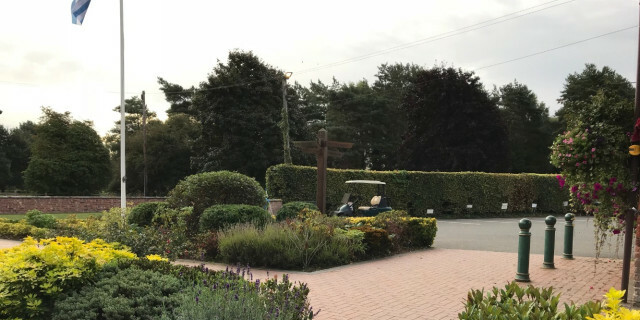 Located on the edge of The Black Country and a short drive from Wolverhampton, Stourbridge and Kidderminster, Enville has two 18 hole courses; Highgate and The Lodge. 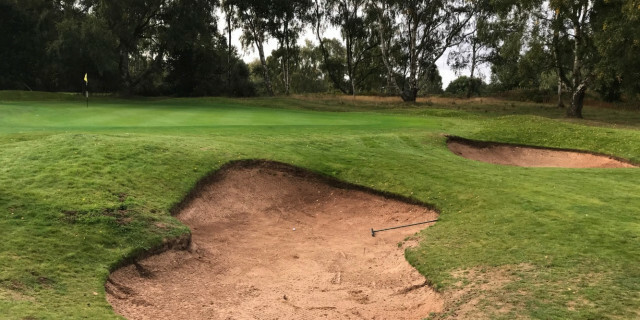 It was formed in 1935 by a small group of men who were members of Churchill and Blakedown, a nine hole course between Stourbridge and Kidderminster. At its formation, Enville Golf Club had nine holes. This was extended in 1938 to eighteen holes. A further nine holes were added in 1973, with the final nine being completed in 1983. 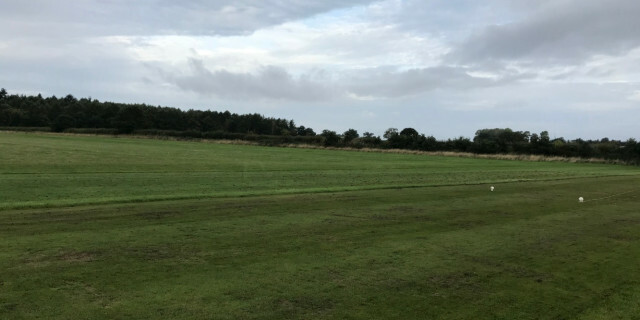 Enville has been a venue for many top professional and amateur tournaments including Open Qualifying. The large membership with a considerable waiting list and numerous society visitors indicates that the club is one of the most popular in the West Midlands. Once again I was greeted with a friendly welcome from Richard and Simon in the pro shop and also from Heather Mulley, the manager. I went and had 20 mins or so on the fantastic short game area that Enville has to offer its members and visitors, and it is one of the best practice spaces anyone could wish for at a course. The opening hole is a reachable par 5 with bunkers awaiting any errant tee shots or approach shots, anything other than a par here feels like a missed opportunity. The 2nd is a real beast of a par 3 at just over 200 yards with bunkers left and right, a par here is a great score. The 3rd and 4th are relatively short par 4s but don't be fooled as fairway bunkers await on both tee shots and the greens are also well protected. The 5th is the second par 3 and offers up a real birdie chance providing you stay away from the bunkers front, left and right. The 6th is the stroke index 1 and you can see why. 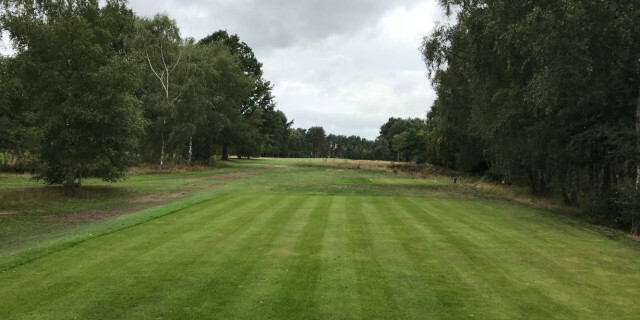 Nearly 450 yards, it requires a straight tee shot to avoid the heather and trees lining the fairway on both sides, a long narrow green awaits once more protected by bunkers on both sides. The 7th and 8th are once more great holes that can offer up a birdie but can also bite you with any offline tee or approach shots. The 9th is a fantastic par 5 that only the very longest hitters can reach in two as it's nearly 600 yards long and sweeps almost at 90 degrees to the right at around the 380 yard mark off the tee. Unusually for Enville this hole has no bunkers. The back nine like the front starts with a reachable par 5 that is a great hole with a ditch crossing the fairway at around 300 yards, making club selection off the tee tricky especially if it's down-wind as the fairway is below the tee. A bunker awaits about 80 yards shy of the green for anyone laying up and just one greenside bunker protects the green at the front/right. The 11th and 12th are both straight par 4s with accuracy again a must as both are tree lined. Pars here in my eyes are great scores. The 13th is a tough and long par 4 slightly sweeping to the right with a small gully around 90 yards short of the green, again a par here is a truly great score. The 14th is a par 3 that can offer up a birdie but anything short or right will be swallowed up by bunkers making a par no easy feat. The 15th is another tough par 4 sweeping to the left, tree lined with a narrow green that has a bunker short/right ready to gobble any poorly hit approach. The 16th is another great par 3 at just over 200yds across water to a green with bunkers left and right, club selection is tricky as it's slightly uphill and the green is sheltered from the trees lining the hole. The 17th and 18th are all about getting a good tee shot away. If you do that a birdie is for the taking on both holes, especially the last as it's another reachable par 5. The 4th for me was the standout hole, featuring a large bunker across the fairway at driving distance that makes the tee shot tricky and the green is set below the fairway with bunkers ready to consume anything offline. This hole can easy offer up a birdie but again could easily lead to a bogey or worse. The 16th is probably regardeed as the signature hole over water and you could see why. It's the only hole that has a water feature on the course. For the 1st of October, Enville was in fantastic condition. The fairways were great, bunkers looked and played terrific and the greens were as good as you would wish to find. This is a great venue to play with the two courses, great practice facilities and one of the best stocked pro shops you will come across. Anyone looking to organise a golf day would struggle to find anywhere better than Enville. With the course being sand based this would be playable pretty much all year. Greens are fast and true and the layout is varied and challenging for better players but at the same time playable higher handicap players. ** A day ticket is available for £80 which provides access to both courses making Enville great value for money.